The position, aspect, and conjunction of planets play an important role in Vedic Astrology. The nine planets or the Navagrahas are the pillars on which the foundation of astrology relies. Like all other planets, the planet Mercury has its own importance and its position and motion plays an important role in predictive astrology. When the planet Mercury appears to move in a backward motion, the phenomenon is known as Mercury retrograde. To unveil the different facets of Mercury retrograde, we need to know about the planet Mercury and its effects on our lives. Mercury is the fastest moving planet out of the nine planets (Navagraha). The planet represents one's intelligence and communication skills. It is the closest planet to the luminary Sun and is often deemed as the prince of the celestial cabinet. It is also known as the messenger, meaning one who conveys the message. Thus, Mercury signifies the power of communication and speech of a person. While a benefic Mercury bestows upon a person the power of charismatic speech, a malefic Mercury hampers the communication skills of the concerned individual. Mercury also represents the intelligence of a person. A benefic Mercury helps the native to be clever in their way of doing things, while a malefic Mercury yields the opposite results. 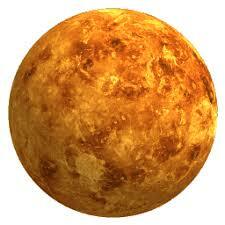 Mercury is also regarded as the planet responsible for bestowing diplomatic skills. Mercury itself is a dual-natured planet and tends to take the characteristics of whatever planet it is placed with. Mercury gets exalted in the Zodiac Sign Virgo and debilitated in the Pisces. It rules two Zodiac Signs- Gemini and Virgo and governs the day Wednesday. The retrograde motion of the planet Mercury refers to its backward motion. As per astronomy, all the planets move around Sun. But from an astrological point of view, the planetary movement is considered by taking the Earth as the point of reference. No planet actually moves backwards but its relative motion as viewed from the Earth may seem to be in opposite direction. Thus, when the planet Mercury moves in a backward motion relative to the Earth's movement, the phenomenon is known as Mercury Retrograde. Mercury is the fastest moving planet and thus, completes its journey in the 12 Zodiac Signs faster than the other planets. Because of its speed, it shows transit, direct or retrograde motion more frequently than other planets. It generally retrogrades three to four times during a year. During the year 2019, the planet Mercury will retrograde three times. Note: The above given timings are according to New Delhi. The planet Mercury does not become retrograde in a blink of an eye. First of all, it starts slowing down while moving in the forward direction, after which it becomes stationary. After being stationary for some time, it finally starts to move backwards beginning the Mercury Retrograde, the timings of which are given in the table above. Mercury Retrograde ends when the planet Mercury becomes progressive. During its progressive motion, it returns back to its normal motion i.e. forward motion. When the motion changes from backward to forward, it marks the end of the retrograde period. Mercury Retrograde is an important phenomenon that has a significant impact on our lives. Generally, people hold the misconception that Mercury Retrograde is bad for them. It is to be kept in mind that not every retrograde is bad and also the fact should be remembered that the phenomenon yields different results for everyone. Mercury Retrograde has positive as well as negative effects. These are determined by keeping in mind several important factors like Mercury’s relationship and position with respect to other planets. Mercury is known to change its nature according to the planets it is with. It behaves as an auspicious planet if it is placed with any auspicious planet like Jupiter, whereas it gains the malefic characteristics of the malefic planet if it is placed with it. The same is applicable during its retrograde motion as well. During its retrograde motion, Mercury tends to become stronger and closer to the Earth. Thus, its impacts increase multifold. During the Mercury Retrograde, the speaking skills, thinking abilities, and intellectual level of a person are affected. The impacts of Mercury Retrograde on a person's life majorly depend upon the position of Mercury in the person's birth chart. Retrograde Mercury in the first house makes person hasty. The individual tends to make quick decisions, which might prove to be disastrous for them. Giving a second thought to decisions is often skipped as a result of hurried decision making. When Mercury Retrograde is in the second house, it boosts up the intellect quotient of an individual. The person achieves a top notch intelligence level and gets the ability to think out of the box, which makes him/her stand out of the crowd. When the retrograde motion of Mercury is in the third house, it makes the person more determined and boosts us his/her courage. The elevated adrenaline levels of such a person make him/her adventurous. During such a condition, the person tends to take more risks and may sometimes, put themselves in a risky situation. The Mercury Retrograde in the fourth house leads to a luxurious life. The native basks in luxuries and comforts. Sudden gain of wealth and profits adds to the income. If retrograde Mercury is present in the fourth house of an individual's birth chart, he/she gets to live a royal life. It increases the chances of female childbirth than male childbirth. The females that are born due to the influence of Mercury Retrograde in the birth chart prove to be lucky for their family. Their birth brings a wave of joy and happiness in the family. If a retrograde Mercury is present in the sixth house, it might make the person negative and depressed. Such a person generally uses a harsh tone and talks rudely to others. Such people get irritated easily and utter disrespectful words to others in a blink of an eye. Mercury retrograde in the seventh house ensures a charming life partner. The native gets to marry an attractive person. The spouse of the native is as per his/her standards of beauty. It makes the person more inclined to spiritualism, religion, and philosophy. It might also increase the individual's lifespan. Such people tend to live longer than the average life of human. Sudden gain of wealth will be a part of such an individual's life. The presence of retrograde Mercury in the ninth house makes the person scholarly. The person is endowed with exceptional reasoning skills. These people have more chances of becoming a doctor, scientist, etc. A retrograde Mercury in the tenth house leads to ancestral property gain. Such people are blessed by their ancestors and their parents play an important role in shaping their life. They never live in poverty because of the hard work and efforts of their ancestors. If an individual has a retrograde Mercury in the eleventh house of their horoscope, they are bestowed with happiness and longevity. Such a person lives a happy life and enjoys little moments. They live long and celebrate life. Mercury Retrograde in the twelfth house in a person's birth chart makes them emerge victorious in his or her battles. Such people do not bend the knee in front of their enemies. Also, they have an inclination towards spiritual and religious deeds. If Mercury gets retrograde in the fire signs, changes in the field of technology will be observed. People belonging to the Fire Signs will be more inclined towards technical and innovative domains. The retrograde motion of Mercury in the Earth Signs will affect their financial life. However, you will develop a practical approach towards life which will help you. The impact of Mercury Retrograde in Air Signs will be observed in the natives’ communication. The air signs will get more social and talkative during the period of Mercury Retrograde. The retrograde motion of Mercury in the Water Signs may lead to a turmoil of emotions. Mercury Retrograde is a good time to reflect back and reconsider the things that you have been doing all the way long. Learning from your experiences is something that should be on your to-do list during Mercury Retrograde. Your intuition will be at its best and you will have an out of the box thinking owing to the retrograde motion of Mercury. You should make the best use of these skills during this time. Adopting new Mantras will be easy for you during this period as your grasping power for Mantras will be on a rise. You can try to analyse what obstacles have been crossing your path to success. If you have some issues with someone, you can choose this time to sweep them under a carpet and reconcile. Mercury Retrograde is not a good time for carrying out new agreements. Therefore, they should be avoided. Undertaking new projects during this period should also be avoided, unless necessary. Instead, you should focus on the existing work and tasks that they have. During Mercury Retrograde period, one should not set their foot on a journey. You should not start any construction work and also stay away from shifting into a new home. Avoid shopping during the period of Mercury Retrograde. It is likely that you will face losses if you buy new things during this period. You should not invest your hard earned money during this period. Fixing electronic items or vehicles during this period is not favourable and hence, should be avoided. Keep away from installing any electronic gadgets as well. Changing job or taking major decisions regarding your profession should be avoided as they may turn out to be unfavorable for you. After knowing what a Mercury Retrograde is and how it may affect your life, it will be easier for you to make the best out of the Mercury Retrograde 2019. Adhere to the Do’s and Don'ts so that this celestial phenomenon pans out to be phenomenal for you!